If you've been injured in an accident, you will find yourself wandering around a world that is very different than anything you have ever experienced. You may find that your best option is to hire an attorney to help guide you through this maze. How do you go about hiring an attorney? There are many types of attorneys and law offices. Some attorneys will give you individual attention. They will return your phone calls and personally handle your case from start to finish. 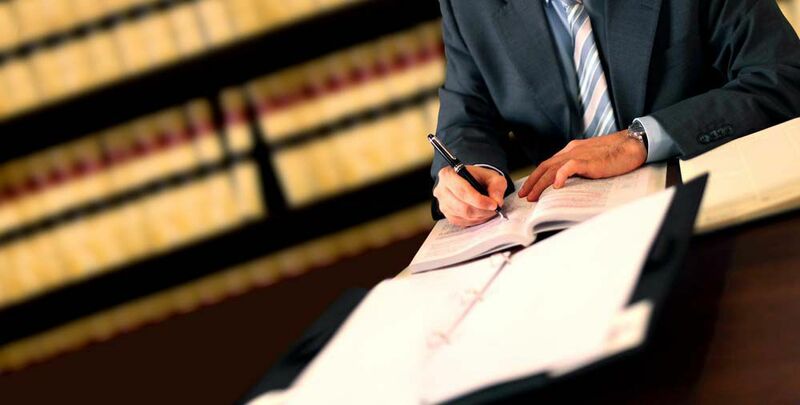 Other attorneys have a team of paralegals that handle your case from start to finish. You may have limited access to the actual attorney. Both ways are acceptable, it is just what you prefer. There is no difference other than the names. If you have never been in an accident before, how do you find the best attorney for you? Looking at and choosing an attorney from these ads is like throwing darts. It can be a challenge, but it is not impossible. It's also a good idea to look online. You can visit different attorney's websites, read reviews about their representation and get a feel for how they do business. Related: Is the Insurance Company Really My Friend? Believe it or not, not all attorneys are the same. They are different and handle cases their own way within the bounds of the law. Just like when you are looking for a doctor, the most important thing to remember is how comfortable you are. The same is true with attorneys. If the voice inside your head is telling you something is wrong and you don't have a good feeling, you should look for another attorney. Remember you are in their hands. Another thing to look for is whether the attorney goes to trial or not. You usually want an attorney who goes to trial. However, the preference of most is not to go to trial. So, why pick an attorney who actually goes to trial on an injury case? This is an extremely important factor because of the way insurance companies settle these cases. The insurance company manages risk. It accepts your premium payment with the promise that it will pay you money if you encounter a certain problem or damage. These risks are low which is why the insurance company earns enormous profits. Settling or paying a claim is a management of this risk. The company will pay a “settlement” if they believe there is a “risk” that the insurance company will pay more if a lawsuit is filed and the case goes to trial. Attorneys who go to trial increase the insurance company’s risk. This happens if the jury award is greater than the last settlement offer. Insurance companies know which personal injury attorneys go to trial. I believe that insurance companies pay more money to settle cases with attorneys who will try the case in court. Having an attorney who has a reputation of going to trial can actually increase your chances of avoiding trial. You may have to file suit to get this increased benefit, but you will generally get the benefit. You may want to ask friends and relatives who have been through the process before. You also may have friends or relatives in the legal field, like police, corrections officers or judges. Ask them to check around for you. As with anything else, the more information you have, the better equipped you are to make the right decision.